South Korea’s brokerage house KB Securities was slapped the highest number of disciplinary actions among financial firms here since 2015, data showed Wednesday. 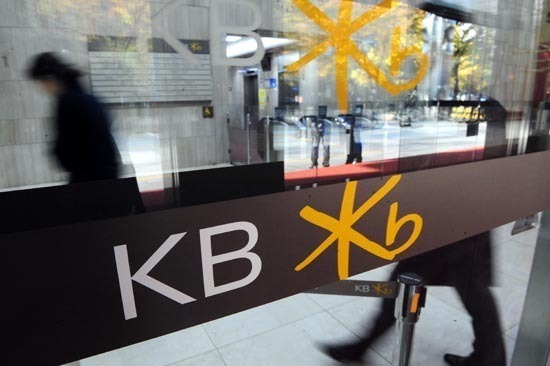 From 2015 to the end of June this year, KB Securities, which was renamed after KB Investment & Securities’ merger with Hyundai Securities, were given 18 penalties from authorities -- the Financial Services Commission, the Financial Supervisory Service, the Korea Exchange and the Fair Trade Commission. This accounted for 7.6 percent of all 238 disciplinary actions imposed for 3 1/2 years on 56 financial firms -- banks, securities firms, life insurance firms, damage insurance firms and card firms that had released its financial statement for the second quarter -- according to data compiled by Korea’s corporate tracker CEO Score. Concerning the total fines over the cited period, KB Securities was second out of 56 companies, with a combined 6.3 billion won ($5.7 million) in fines. This includes a 5.8 billion won penalty issued in January this year for violating the Financial Investment Services and Capital Markets Act by granting credit to a major shareholder. KB Securities followed Samsung Life Insurance, which had the largest amount of fines imposed, with a combined 8.3 billion won for 3 1/2 years. This took up 71.4 percent of fines to all life insurance companies. By sectors, brokerage houses tended to be the most prone to penalties. They were imposed 125 disciplinary actions and 21 billion won fine over the cited period.